At the Sri Kandaswamy Temple, the sacred Abode of Kaliyuga Varathan Sri Sakthivel Perumaan, the Periapuranam is read regularly. 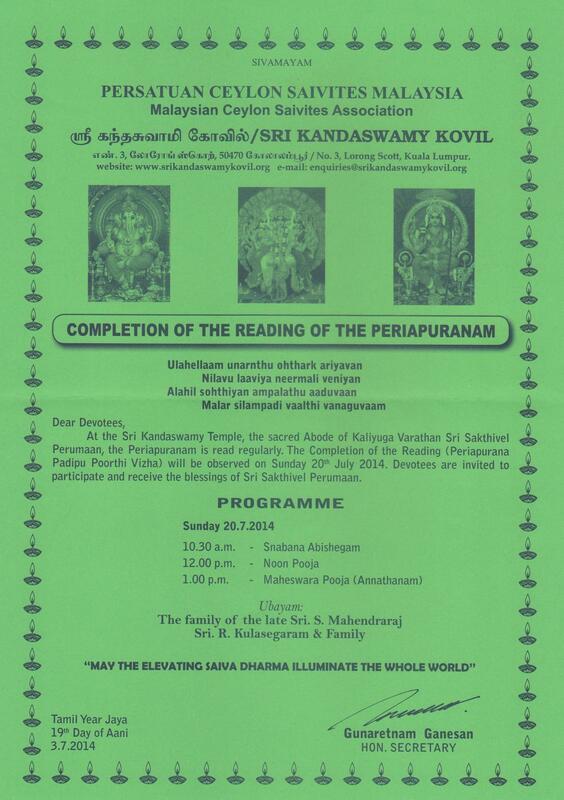 The completion of the reading (Periapuranam Padipu Poorthi Vizha) will be observed on Sunday, 20th July 2014. 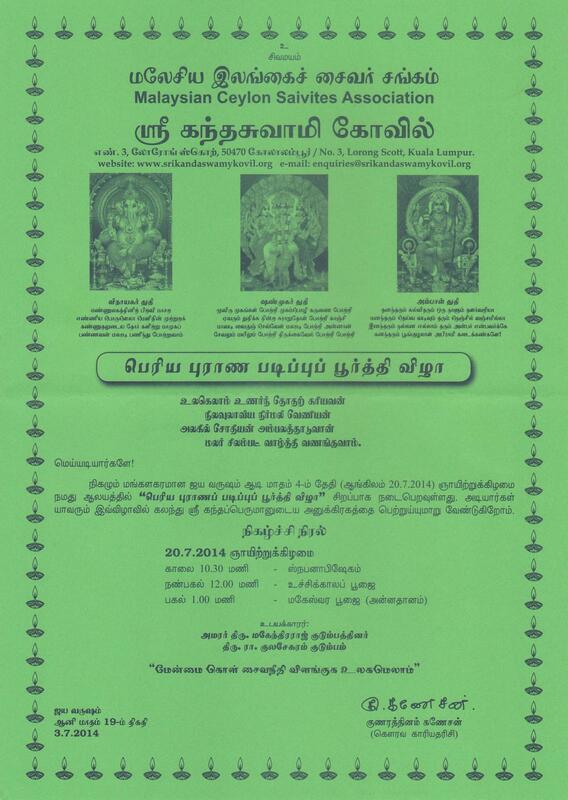 Devotees are invited to participate and receive the blessings of Sri Sakthivel Perumaan.